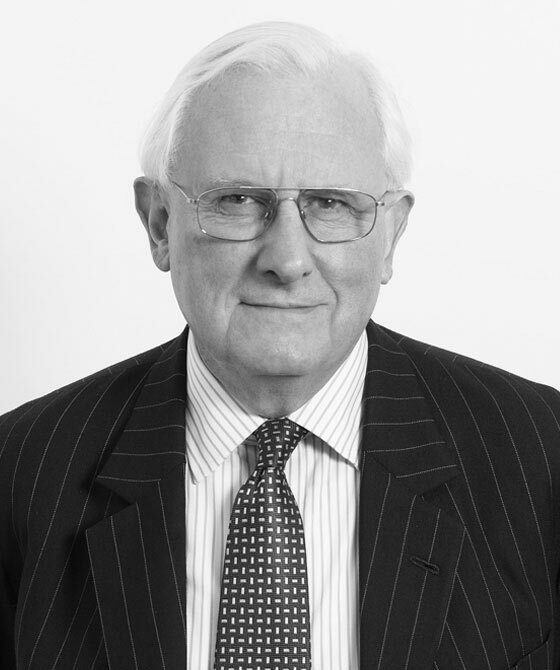 Christopher has over 40 years experience in the field of commercial litigation. He appears regularly on behalf of both corporate and private clients in the Chancery Division, the Queen’s Bench Division and the Technology and Construction Court. He brings to his practice an acute appreciation of the need for strategic thinking in the context of large-scale litigation, as well as an attention to minute detail. He is well-used to organising and assimilating large quantities of documentary evidence. As well as having wide experience in the commercial field, Christopher’s specialisms include professional negligence and negligent mis-statement in a commercial context, warranty and valuation disputes, partnership disputes, shareholder disputes (including petitions under section 994 of the Companies Act 2006, formerly section 459 of the Companies Act 1985), breaches of trustees’ and directors’ duties and director’s disqualification. He also has specialist experience of passing off and markets. Christopher frequently represents those accused of professional disciplinary offences and appears regularly before the Disciplinary Tribunals of the ICAEW and the ACCA. He has lectured on commercial matters, as well as on professional discipline, in Chambers’ seminars and to various firms of solicitors, to the Chancery Bar Association and to the Professional Conduct and Complaints Committee of the Bar Council. Christopher is a member of TECBAR and has wide experience in the Technology and Construction Court. He is also a member of the Chancery Bar Association and the Professional Negligence Bar Association. Consideration of the scope of duty owed by a solicitor to his client in the context of a dispute between the directors/shareholders of a private limited company and whether the solicitor had acted in breach of duty in failing to advise his client to seek relief by means of an unfair prejudice petition pursuant to section 994 of the Companies Act 2006. Detailed consideration of expert evidence regarding the method to be applied when valuing the company’s shares. Examination of the criteria to be applied in an application for pre-action disclosure pursuant to section 33 of the Senior Courts Act and CPR 31.16(3) by one shareholder against the other in a two-shareholder company, based upon allegations of unfair prejudice and alleged breaches of a shareholder agreement between them. Whether the making of a “restriction of proceedings” order against a non-practising barrister in regard to litigation conducted by him on his own account could amount to “misconduct” in the context of Core Duty 5 (conduct likely to diminish public trust and confidence) of the Bar Handbook. The factors to be taken into account when determining the beneficial interests of parties to a Stack v Dowden/Jones v Kernott common intention constructive trust arising out of a domestic property purchase, where the property had been purchased in the name of one party only and financial contributions to the purchase price were unequal. Rights of a mortgage lender under the terms of a bare trust to recover mortgage monies paid away by its solicitors as the result of a fraud perpetrated on both the solicitors and the mortgage lender by the purported vendors of a property, without any involvement in the fraud on the part of the solicitors. Refusal of a company to make an allotment of shares under an employee share option agreement, where the claimant was alleged to have acted in repudiatory breach of his contract of employment. The rights of customers of a company in administration whose monies were received by the company prior to administration on trust terms but which were nonetheless used by the company to reduce its indebtedness to its bankers on its overdrawn current account. Dispersal of a brokerage company’s assets by administrators when part of the relevant assets comprised deposit monies received from customers on trust terms, prior to the administration. The correct approach to the assessment of the reliability of witnesses in a claim for the recovery of two loans where the existence of the loans was disputed, the loans were not evidenced in writing and they had been made in confusing circumstances. Discharge of search and seizure orders on grounds of material non-disclosure where there is a need to preserve physical evidence resulting from execution of the order. Disclosure in partnership proceedings of an affidavit of means sworn by one of the partners in matrimonial proceedings. Whether the Court has jurisdiction under the Company Directors Disqualification Act to limit disqualification to directorship of a public company. Christopher has over 30 years experience of professional negligence litigation. He appears regularly on behalf of both corporate and private clients in the Chancery Division, the Queen's Bench Division and the Technology and Construction Court, both for Claimants and Defendants. Christopher has experience in a wide range of fields of professional negligence, negligent mis-statement and breach of duty. His previous cases have involved accountants, architects, barristers, commercial franchisers, company directors, engineers, receivers, solicitors, surveyors, trustees, underwriters and valuers. He has specialist expertise in the field of directors' disqualification and frequently represents those accused of professional disciplinary offences. He appears regularly before the Disciplinary Tribunals of the ICAEW and the ACCA. Christopher has lectured on commercial matters, as well as on professional discipline, in Chambers seminars and to various firms of solicitors, to the Chancery Bar Association and to the Professional Conduct and Complaints Committee of the Bar Council. A substantial trial regarding, inter alia, an examination of the fiduciary, contractual and common law duties owed by a firm of accountants to the promoter, shareholder and director of a series of private, family-owned trading and property companies, such duties having to be established in the absence of any express retainer or client care letter; together with complex issues of causation and an evaluation of the measure of damages associated with various alleged breaches of the accountant’s duty resulting in lost profits and loss of capital gain.